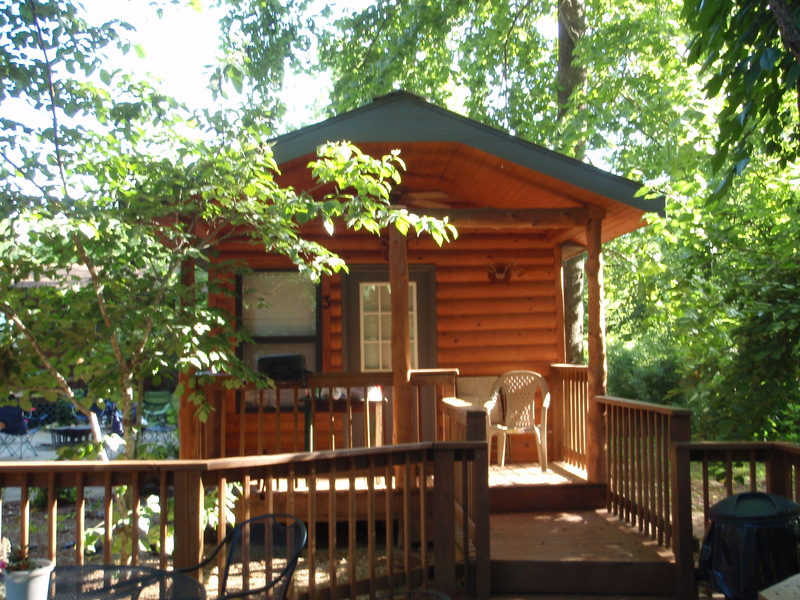 Camper Cabins (5 to choose from) sit right on the river bank, and offer riverside solitude at a budget price. They are simple 12' x 14' cabins, and offer heat/air, beds, linens, mini-fridge, microwave, coffee pot & small outside grill. Copper Johns Resort provides bath towels, bath soaps, and coffee. Cozy, yet comfortable! Think of them as a couple of steps above tent camping!! There is a nice bathhouse with 4 individual bathrooms, each with large walkin shower, and an "everybody" kitchen located on the river side of the bath house building, (nothing fancy and you do have to share sometimes !) that you are welcome to use....... just please clean up after yourself! In addition, there is a covered grilling shed there by the kitchen. ! Each cabin has its' own small deck and you'll be up close and personal to the river and all its' inhabitants! $ 60.00 nightly + tax for 2 people ( $ 65.70 nightly for 2 people) For additional people, add $ 10 plus tax per/night, per additional person. Cabin 3 has a full sized bed, and a twin sized captains' bed and sits off by itself on the top level. No flight of steps here ! 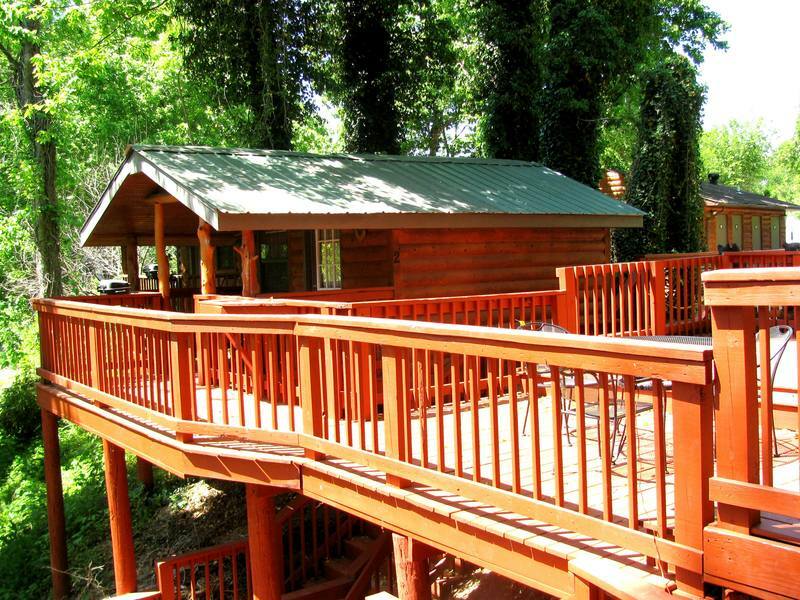 Cabin 3 is accessed from the large riverside deck.